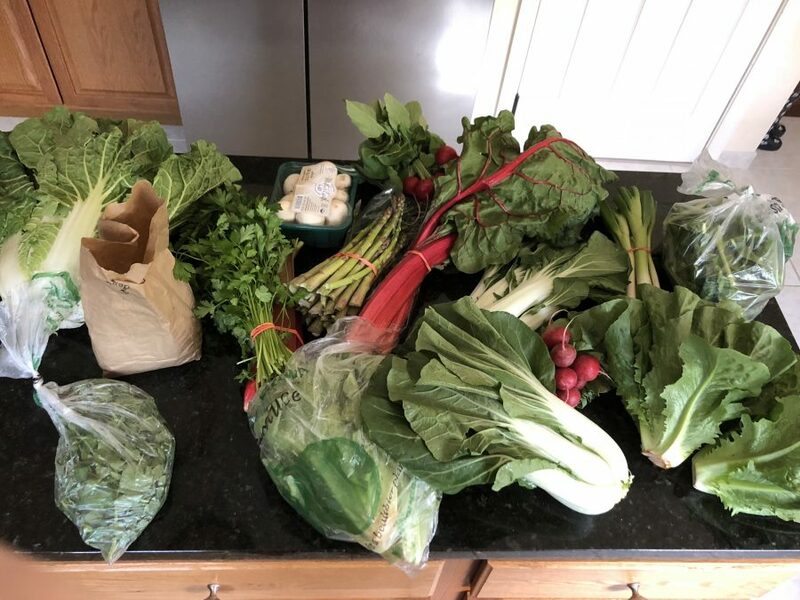 CSAs have been a big part of our “food shopping” for about 5 years now. If you’re not familiar with the term, CSA, it stands for “Community Supported Agriculture.” You can read more about it HERE, but basically, it is a program that is run either through farms or a cooperative of farms that gather fresh, local produce and food from small farms and provide it to their CSA members every week. The CSA member pays up front every season to the farmer or co-op to provide funds for seeds, planting supplies, and other needs to grow your food. It’s a win-win, but could also possibly be a risk, as you accept the fact that if the farms have a bad weather season for the crops, you may not get as much produce and/or food.